SYMPATHETIC JOKERS (Steve Cook): Two blue-backed Jokers placed in different part of the deck, come together in the middle. A selected card appears between them and at the end, their backs become red! KARDCOINCIDENCE (Alfred Gabriel): A very unique way to reveal a selected card, where a miniature card duplicate of the selection appears glued to a coin previously shown on both sides! A BLANK SANDWICH (John Yeager): A selected card is placed on the table. Two Jacks are shown and the selected card appears between them. The card on the table is now blank! RISING CARD (Carlos Corda): A card is selected. Three packets are placed into the case. The spectator names the card and this is seen to rise from the case! 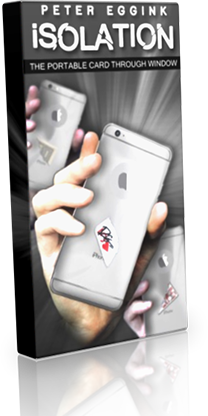 ADD THE PIPS CARD TRICK (Kellini): A deck is shuffled and placed on the table. A spectator cuts the deck and take the top four cards and adds their value. You have predicted the total! FAN CONTROL (Aldo Colombini): A very easy and deceptive way to control a selected card to the top of the deck! KOIN KUT (Aldo Colombini): The deck is cut in two piles on the left hand. When you lift the piles, one or two coins are produced! MY FIRST TRICK (Aldo Colombini): You have four cards of the same value. One is freely selected and it is the only one reversed in the packet and the only one with a different colored back. Just four cards used! A CARD EFFECT (Neil Offiler): You lose the four Kings in the deck and produce them one at a time. Then, you produce the Aces FACE UP one at a time! RED AND BLACK (Aldo Colombini): You show eight red-backed cards, four red and four black. Four cards are placed aside. The other cards change into all red cards and with blue-backs. The four tabled cards are now black all over the faces! Simply enter your details below and we will send you an e-mail when “Magigram Vol.15 by Wild-Colombini Magic - DVD” is available to ship!